Recently I picked up and read Management Rewired by Charles Jacobs. While I confess I don’t know much about business or what’s trendy in business management, I did find this book interesting and helpful, primarily due to the fact it is different than some of the other books I’ve read on the topic. Using some of the latest research on brain science and neurology, Jacobs offers some insights as to why leaders and organizations do what they do and how they can do them better. I thought I’d share a few of the notes I took from the book that I found to be insightful. · Leadership is primarily concerned with ideas. Good leaders get the big ideas right. When they do, a lot of other things will fall into place. Jacobs elaborates by saying that the power of an organization is in its ability to generate ideas. · Jacobs argues that leaders cannot change organizations, but they can change people who change the culture of the organization. 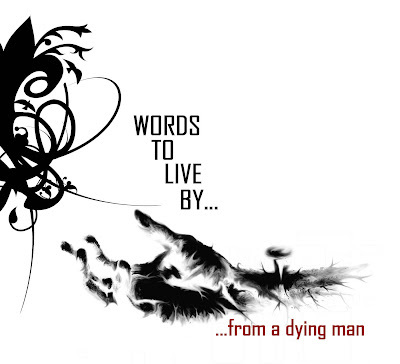 · This transformation is accomplished through the power of storytelling. · Much of our thinking is organized in stories. Stories and metaphors help us to organize our experience of the world. The more we tell the story, the more the story shapes us. · If you want to know what’s going on in your organization, you have to figure out what story the people are telling themselves. · You change your environment by changing your story. It is important to craft the story with a predictable outcome that promotes the change you want to see. · Rather than emphasizing organization, leaders should work on shaping the culture that shapes thinking. Culture is a convenient way of thinking about patterns in behavior in a organization that isn’t hardwired by policies, procedures, or structure. · The right hemisphere of the brain sees “wholes” and is responsible for our emotions. The left hemisphere of the brain is the center of logic. It delays immediate gratification. The power of story is that story unites the two hemispheres. · One of the reasons organizations make poor decisions is their unwillingness to delay immediate gratification. · Leadership isn’t about forcing people to do one’s bidding. It’s about telling a story so that people can do what they need and want to do. In the final pages of this monograph, Jacobs’ lists five characteristics that mark Transformational Leadership. They are summarized as follows. 1. In order to shift the paradigm, leaders have to change the way people think within the organization. 2. Any successful paradigm shift must be a participative process. For example, Plato influenced thinking by asking questions. 3. Leaders can influence paradigm transformation by conveying an aspirational but credible view of the future. 4. This view of the future is communicated through story. Leaders have to tell a better story than the story the people are currently telling themselves. 5. Finally, transformational leaders use the story to create focus and urgency on what’s critical for success. Jacobs’ book is an excellent read. While I only touched on some of the great stuff I found, there’s plenty more that’s helpful, even for pastors like me who continuously communicate the greatest story ever told. Here’s the video from Lauren’s Jazz Band playing at Downtown Disney on December 29, 2009! Awesome job by an awesome group of kids! The first word Jesus spoke from the cross concerned forgiveness. The second word concerned eternal life. Jesus said to the thief, “Today you will be with me in paradise” (Luke 23:43, NLT). Think about the promise of eternal life that Jesus offered to him in those dying moments. Salvation is immediate: “Today.” Salvation is personal: “YOU will be with ME.” Salvation is eternal: “in paradise” (literally, the garden). The gospel of Jesus Christ is not just about what happens to us when we die. It is life with God here on earth. Jesus extends the same hope and promise to you today. God knows us by name. God knows the number of hairs on our head. God knows the number of our days we will live on earth. God hears the words we speak. God sees our tears and records them. There are many more affirmations from the Bible that affirm God’s constant awareness and attentiveness over our lives. Why then, does God remember us? He remembers us because he loves us. He not only loves us, he has made it possible for us to have life with him always. You never forget those who are always with you. Through Jesus’ sacrifice on the cross, God closes the proximity and empowers us to become children of God. The gospel is not just the message proclaimed that brings salvation. The good news of the gospel is that we can have life with God. 1 Peter 3:18 states, “For Christ died for sins once for all, the righteous for the unrighteous, to bring you to God (NIV).” That’s the gospel message, life with God! There are a couple of helpful websites that I routinely check that are proving to be helpful time savers. When I want to catch up on Christian news, I find www.baptiststoday.org. This site scans online newspapers from coast to coast and posts the links to the top religious news stories each day. While the web address may lead you to believe that the site is only concerned with Baptist news, it crosses into interdenominational and interfaith territory. As a bonus, the site includes stories from the legal system that might be of interest to Christian readers. The second site scans the Christian blogosphere. Though its a relatively new site, www.zoecity.com scans the top Christian blogs and provides links on a daily basis. Let me encourage you to check these sites out. I hope they prove to save you some time. When we lived in Arkansas, Lisa and I were invited to a dinner party to honor the 40th birthday of a friend. His wife did an immaculate job of decorating and preparing for the group that gathered. The table was set, complete with name cards that assigned seats to each dinner guest. Except me. It was a funny oversight, but at the same time, a bit awkward. Have you ever been forgotten? Have you ever felt that God has forgotten you? Sometimes we feel forgotten by God, especially when our fail proof systems hit a glitch. Any number of life’s challenges…bills, kids, marriage, employment, health…can cause us to wonder if God’s really paying attention to us. If you’ve ever felt that way, then the second saying Jesus spoke from the cross is for you. Jesus’ words are spoken to one who is simply called a “thief.” To refer to him as a thief is a bit understated. He was more than one who stole stuff. He was a professional criminal and an insurrectionist, an enemy of the Roman Empire. Many would have labeled him as a “bad person.” He was deserving of death even by his own admission. In our pain and adversity, we echo that same request… “Remember me…” and he does. There is a famous painting by Holman Hunt, leader of the Pre-Raphaelite Brotherhood, titled The Shadow of Death. The picture depicts Jesus standing inside the carpenter’s shop in Nazareth. He is standing by a wooden trestle on which he has laid down his saw. He stands with his eyes fixed toward heaven and arms stretched outward. 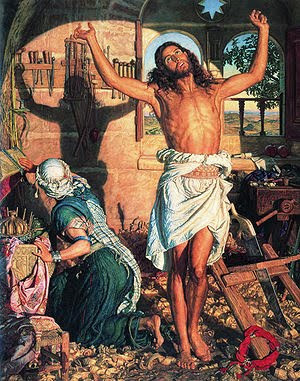 As he pauses from his work in this posture, the sunlight casts a shadow in the form of a cross on the wall behind him. Hunt did the painting from a rooftop in Jerusalem in the early 1870’s. While it is historically fictitious, it is theologically true. Jesus was born for this purpose: to give his life on the cross for our sin. His life was not taken from him for he gave it willingly. Jesus’ mission was the cross. Ours is the same. As we begin to turn our attention toward Easter, may our hearts be filled with praise and worship of the “lamb who was slain.” May we commit ourselves in a new, fresh way and continue the mission Jesus began. As millions of Christians around the world observe Ash Wednesday today, I thought I’d post this prayer for Ash Wednesday by Old Testament scholar Walter Brueggemann. It is part of a collection of prayers for the people of God titled Prayers for a Privileged People. This day—a gift from you. or we have ever received. your Easter parade of newness. I got this last winter and thought it was really funny. Now that our local news is reporting that we’ve set an all time record for snow fall this winter (57″), I thought I’d share it. Enjoy! boy again. I did both our driveway and the sidewalks. 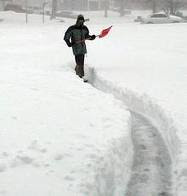 to shovel again. What a perfect life! a nice man, I’m glad he’s our neighbor. I wouldn’t huff and puff so. that’s silly. We aren’t in Alaska, after all. I’m freezing to death in my own living room. day. The stupid snowplow came by twice. the winter, but he says he’s too busy. I think he’s lying! Only 2 inches of snow today. And it warmed up to 0.
this morning. What is she, nuts?!! says she did but I think she’s lying. busy watching for the snowplow! slop tonight – Snowed in! more time, I’m going to stuff her into the microwave! only charged me $1,400 to replace all my pipes. heard. How dumb does he think I am? beating I gave him, but also for trying to bury him in the snow. they keep giving me. Why am I tied to the bed? In Luke 23:34, Jesus prayed, “Father, forgive them, for they don’t know what they are doing (NLT).” Who is Jesus praying for? Who is it that doesn’t know what they are doing? Jesus words were spoken in the particular context of the crucifixion, so we begin with the scene and those who must have heard his cry. Like the Jewish religious leaders, for example. The religious leaders were protectors of orthodox religion and demanded observance of the law, even in the face of Jesus’ offer of grace. They were petty and power hungry. Even Pontius Pilate observed that their envy of Jesus was the root behind their demand for crucifixion. Jesus was crucified during Passover, an observance that historians tell us was so big in the early first century that it spanned two days (Thursday and Friday). As many as 120,000 lambs were sacrificed in the Temple during Passover—so many that the blood ran down the streets. Yet a mere half mile away from the Temple, with all of its adornments and activity, Jesus hung on the cross, the “lamb of God, slain before the foundation of the world.” Paul Hewson defines religion this way. He writes, “Religion is what happens when God leaves the room. We create our own rules to fill up the empty space.” The religious leaders did not know what they were doing. Neither did the Roman soldiers. With clenched fists, the muscle of the Roman government proceeded to take Jesus’ life by force. Little did they realize that he was giving his life willingly. Some of the soldiers threw dice on the ground beneath the cross, gambling for Jesus’ tunic. Ironically, they were fighting for the one material possession of Christ as he fought for the one eternal possession they had—their very souls. The Roman soldiers did not know what they were doing. We should include those who were casually passing by that day, casting private judgment on the activity they witnessed. Lest we forget, Jesus was crucified publicly because the Roman Empire believed that public capitol punishment served as a deterrent to crime. In our imagination, we can see them with their arms crossed, shaking their heads in disgust. They did not know what they were doing. But what if we go ahead and insert ourselves into the scene? Do we know what we’re doing? Are we aware of our need for forgiveness? Are we aware of the cost of forgiveness? After all, why is forgiveness associated with death? What is the correlation between death and forgiveness? Do we know what we’re doing? Do we know how often we take the gifts of God for granted? Do we know how flippant we are about our sin? Do we realize how helpless we are to help ourselves? Do we admit we are not in control? We are not masters of our own fate? We cannot save ourselves? We have no answer to the problem of death? We don’t know what we’re doing. But thankfully God does know what he’s doing. Jesus did not die on the cross in order to fix you. He did not die to make bad people good. He came to give dead people life. He came to save you from sin and yourself. The humble admission: “I don’t know what I’ve done…I don’t know what I’m doing” is the act of humility that brings forgiveness into your life.